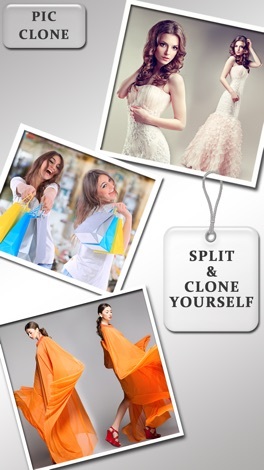 Now it is easy to create clone by using PicClone app. It supports both horizontal or vertical layout. It allows you to adjust frame by your finger touch. 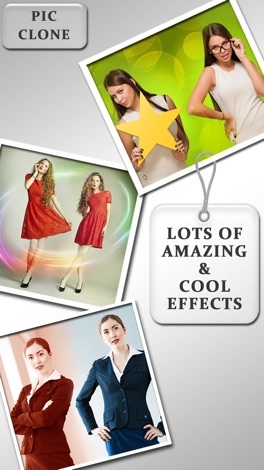 You can also apply multiple effects to your selected image. It has the ability to create image by melding two different images .This app is very easy to use. -> Easy to adjust frame. √ Select your layout (Horizontal / Vertical). √ Adjust your frame by moving the bar. √ Capture image by clicking on capture button or take image from album. √ After adding images to frame , it will open editor screen . √ Click on the merge button to merge two images to get your clone. √ If you want to adjust your frame the click on the adjust button and drag the bar. 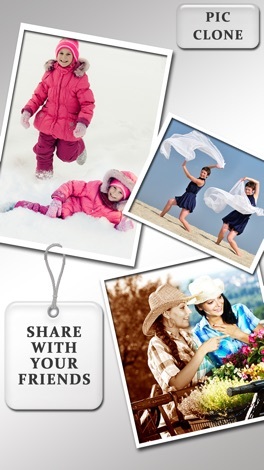 √ Once you are done , click on share button to share image to social network sites and you can also save it to album. 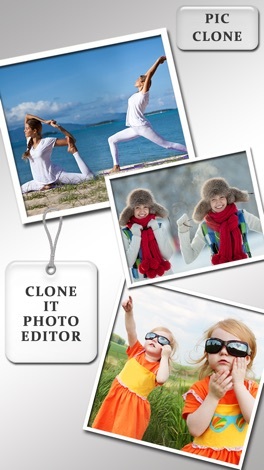 Make clone of yourself and show your creativeness….